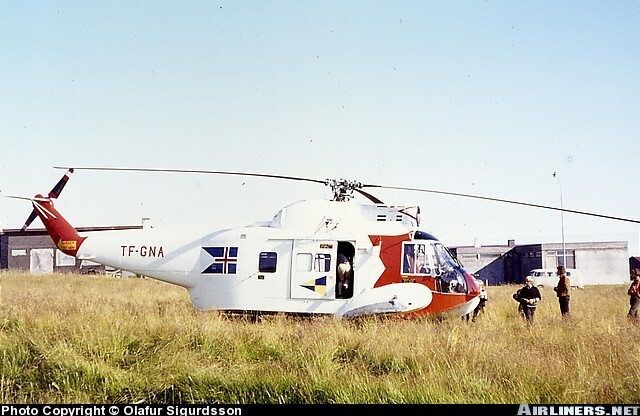 One S-62 (not S-62C) obtained from the US Coast Guard in 1972 – known as the HH-52A Seaguard in USCG service. Crashed and written off 3 October 1975, following an in-flight engine failure. Used for search and rescue and coastal patrol duties. TF-GNA 62-096 1411 July 1972 CAA No.222, w/o 3 Oct 1975.